Hi, I have recently experience bullying in my workplace - It is horrible people say comments and make me to be as the bad guy when I am actually good at my job and can get on and do my work. Maybe I need to speak up when they make a comment but if I do I think they'll tell me I'm bullying then. I have decided to go down the grievance route as I have racked my brains trying to work out what I could have done to cause this but now I see it is because I am good at my job and they are crap and my work highlights how they are inefficient or lazy. I have had my greivance - denied i.e. they didn't find anything - which is complete rubbish as I know things have gone on. My concern now is what should I do - anyone? If your grievance was denied and there has been clear bullying, then you are possibly missing evidence. You need to have the support of someone else in your workplace, that has witnessed this bullying behavior. Are there any emails or documentation that supports your allegations? What relationship does the bully have to the management? Often if the bully is part of management, or is favored by the management, you will have a very difficult time in proving your allegations. Sometimes, it is better to find another workplace, than to try and continue to fight something that is never going to give you the desired outcome. Most bullies never receive consequences and a high proportion of targets of bullying, actually get bullied even more, once they speak up about the behavior. You need to look at the management structure and ask yourself if you truly see things changing. Is there anyone in the management team that will actually believe your story. If not, maybe find a workplace that actually supports and encourages their staff - hard thing to do, but sometimes there are limited options. Only when there is legislation against bullying, will there be clearer consequences. 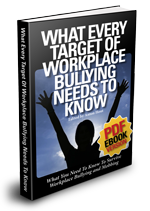 Unfortunately, take a number and get in line with all of the other targets of workplace bullying. If one is not a clone, and has more than half of a brain, then they are doomed, and it sounds like you have more than half. I don't know about the UK, but in the US, bullying is implicitly condoned in the workplace. There is always a need for a scapegoat, the system is not about fairness, it's about control based on reward and punishment from the top down. It does not matter that you are proficient at your work, that's a targets first mistake, thinking that by being good at their work, they will be recognized, forget it, they do not want their incompetence exposed, and umwittingly by being who you are, threatens the status quo, and that they will not tolerate. 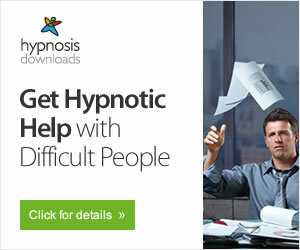 I completely understand how you are feeling, and the feeling of helplessness and no one or nowhere to turn, makes the experience even worse, because your options are limited. But, there is one thing I would recommend, be true to yourself and trust your instincts, because they are usually correct. Bullies do not change and one cannot change a bully. Forfeiting a job and an income is not easy, but is it worth the abuse to stay? Personally, I believe the only way to eradicate bulling is by changing our perceptions about human relationships, by being a sensitive, civil and respectful person, slowly erodes the insidiousness of bullying. I hope you find a place where you can work with people who treat each other in a respectful manner, it may take a while to find, but it's worth the effort. I know exactly what you are going through. I put it a grievance about a bully at work. I was told there is no evidence of bullying as I have no witnesses to back me up. In fact the HR department and the bully have even been trying to dig up dirt on me to find a way to get rid of me. My advice is: appeal against the findings of this initial grievance. Expect everyone to deny everything. HR/ management will support the bully. Look for patterns in the bully's behaviour. They can explain away individual incidents but if there is a clear pattern of behaviour that is something they can't explain away. Go over your contract of employment with a fine tooth comb. Speak to a solicitor. You may have grounds for harassment. Hope this helps. And the very best of luck to you. Same boat but it CAN get Even worse! This page and its responses has made me feel a little better but I still feel alone help please. same situation as above was bullied at work by this guy.raised it with HR..no evidence found..it rapidly got worse ..he got in my face shouting and threatend me this one day (the day after failing my 1st driving test :(..it is relevant as i was on a low)I screamed back but didnt threaten him.. we got separated he was suspended immediatley.. I was sent home due to how upset i was and told to return next day if i felt upto it. I was driven by my manager to the safest train stop so as not to come into contact with him on journey home when asking why the fuss "because hes a funny character isnt he and well ya never know what he might do" was the response given by my manager as he drove. I returned to work next day happily and got on with my job but was suspended 4 days later and they couldnt tell me why. "So its fair" they said. the next day I posted an angry comment on facebook..saying i should thank him next time i see him with a lump of wood..(I was upset im sure you peeps understand how it can get you inside..) I am not usually an angry agressive or violent person quite the opposite. 2 weeks later when called into my hearing i was dismissed.for the facebook comments it was deemed a threat. I appealed to no avail they stuck to their decisions.. My tormentor was also dismissed that same day for his threatening behaviour towards me in the workplace. After a letter from my ex companys solicitor who just happend to be from the old bailey stating I was to pay for the entire case should I lose and other witnesses had been bought against me. I then requested a Data subject access request from my ex employer which is basically every single piece of info they have on you. I find upto 10 vile statements made from other employess slandering my character and saying appaling things about me that was nowhere near true.